4	stars -	"Review for Futures John John Techflex Medium Tri Fin Set" Mark Taylor This Futures John John Techflex Medium Tri Fin Set is the best Fins Thruster I have tried. The all new John John Florence Signature Futures are designed for the medium surfer (65-88Kg). The first design came from John John's best template the F4 Techflex, but with his progressive style and power he needed extra fin area. John John needed a reliable fin for all conditions on the world tour with a mix of control, drive and release. He has shrunk the tip of the template and added some base for extra drive to match his relaxed yet powerful style of surfing. 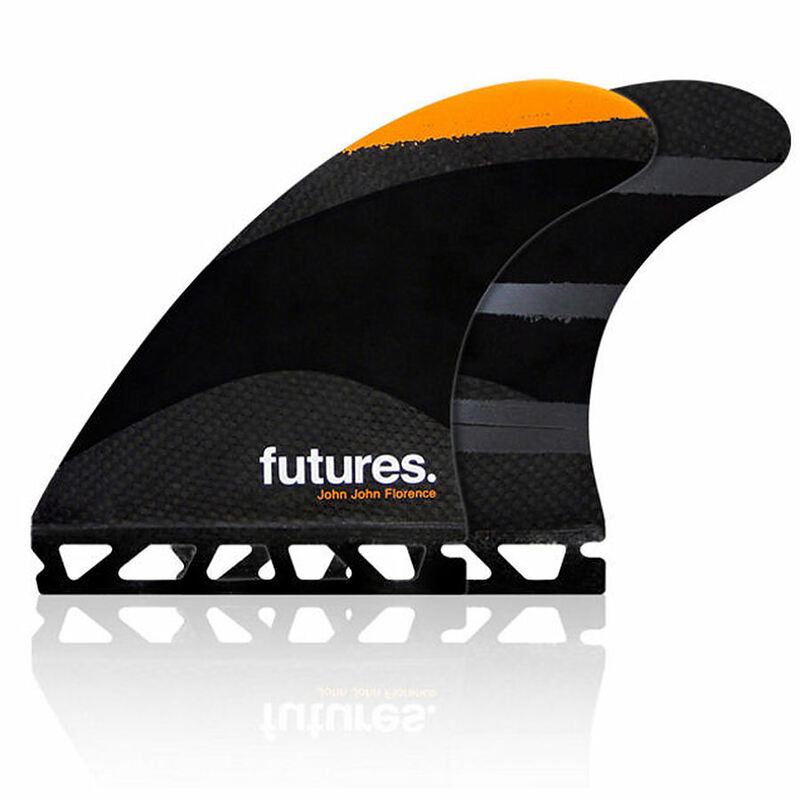 These fins are a great all round template for high performance surfing with lots of speed, flow and control. Techflex is the next progression in the Futures line. They were developed to stiffen up the fin in the right places, with strategically placed carbon in the base and tip. This activates flex in the middle of the fin, harnessing power and creating maximum speed. John John Florence Signature Techflex from Futures Fins on Vimeo.